Wooden accessories have become more refined in recent years, with accents appearing on everything from belts to eyewear. The crowning achievement, though, is the wooden watch band and face. Wooden watches can often be a blocky, awkward look that resembles the kind of beach bum jewelry you’ve shed since your teen years. But some new offerings now rival the style and design of fine Swiss makers, which is even more impressive when you understand the limits of wood as a medium. It also needs some help from other materials. Obviously it’s hard to create the mechanics of movement without metal as well, so, no, you’re not wearing 100 percent tree on your wrist. But what wood lacks it flexibility it makes up for in visual appeal. Blending two grains creates contrast that will be a great addition to your look as the weather cools. How do you wear it? At your own discretion. 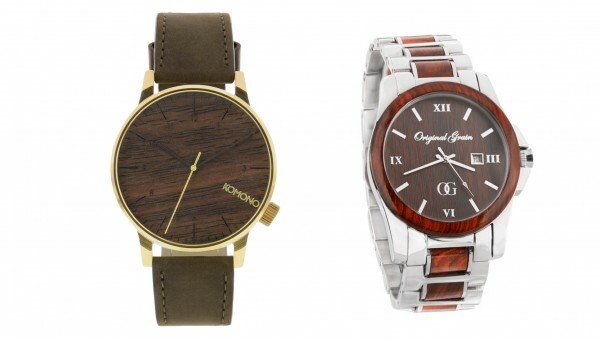 Depending on the style and your choice of grain, a wooden watch can work with a suit or weekend jeans. It works fine for meetings and a weekend outings alike, though more natural finishes pair better with sturdier fall fabrics and clothing with more texture (knits and corduroy welcome). 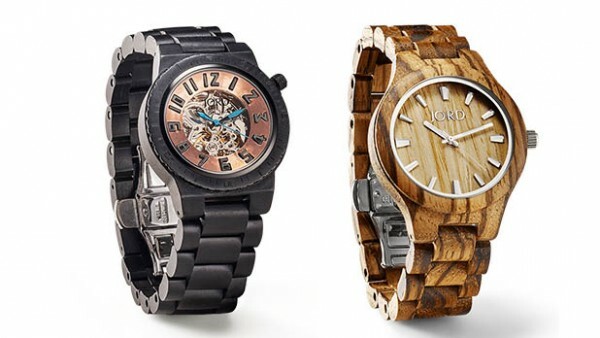 Jord has a limited edition version available right now of their mechanically-styled semi-steampunk Dover (below left, $295; woodwatches.com). If you’re more interested in embracing the natural finish look, consider the Fieldcrest ($120, woodwatches.com). We like the zebrawood and maple model.